Add a spark to your ethnic look by wearing this multi colored necklace set by Anuradha Art Jewellery. 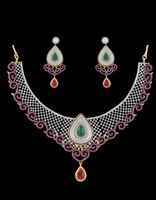 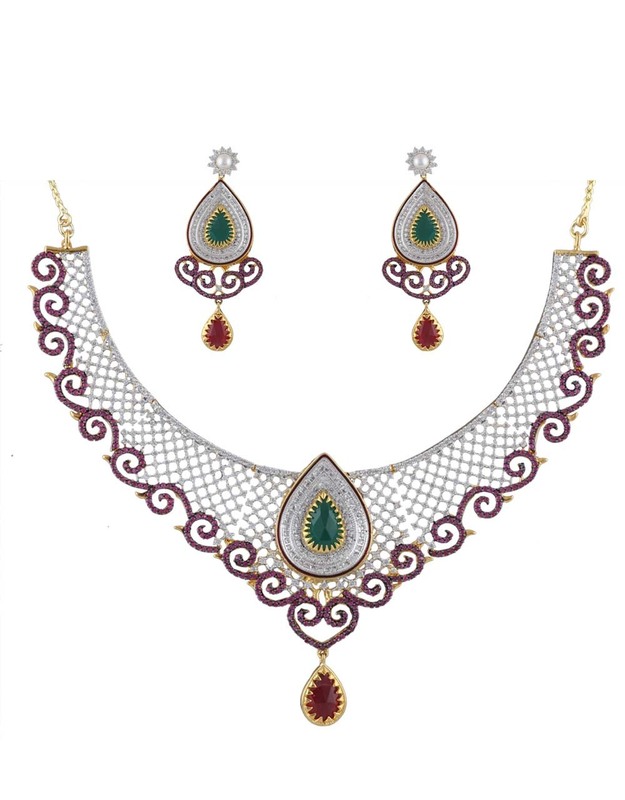 This set has been specially crafted to give you a beautiful, chic and trendy look. 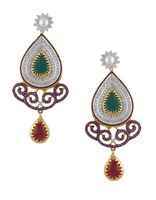 Fashioned from 40% silver & golden polished copper to ensure durability. 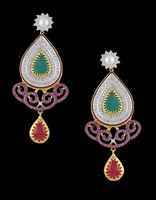 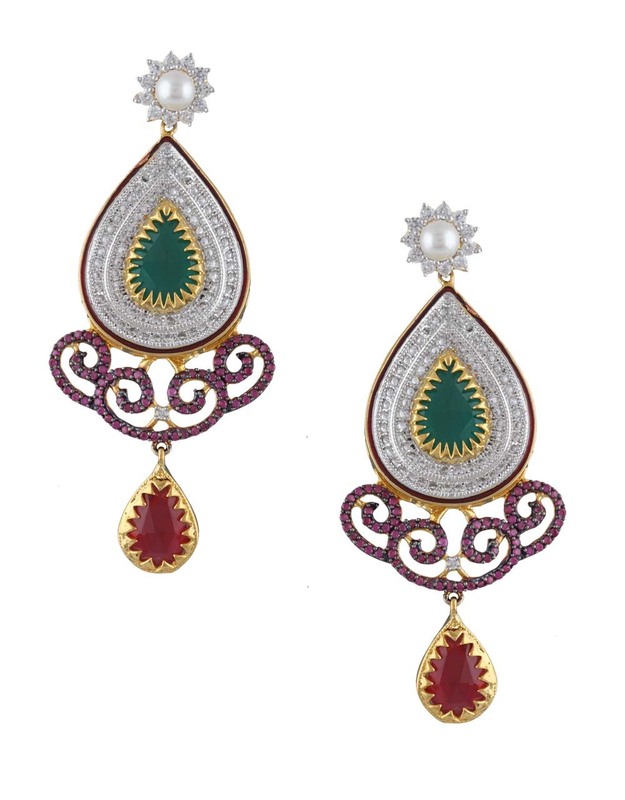 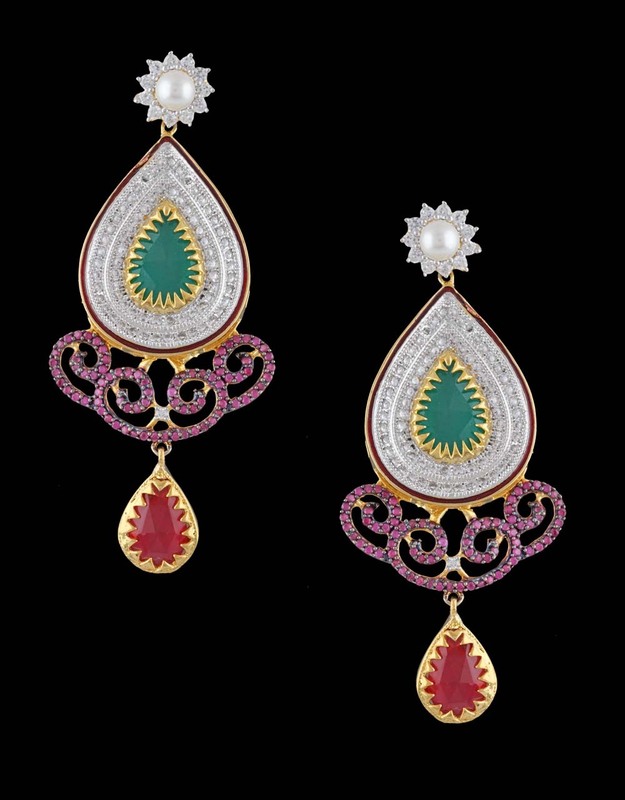 It is perfectly studded with American diamonds & multi colored stones.